Both autistic spectrum disorder and the ‘milder’ Asperger’s syndrome have been in the news lately since Hans Asperger turns out to have been a Nazi sympathiser. That is not so surprising, however, as most German psychiatrists backed the regime. Hitler’s psychiatrists – if one can call them that – were remarkably callous, indeed they had some 300,000 patients gassed because they led ‘lives not worth living’. Many of those displayed autistic symptoms. Civilised liberal democracies have also been harsh to those on the autistic spectrum, as it is now called. So for anyone on the spectrum to succeed in the so-called normal world is something of an achievement. Freddie Ellison from north London had always been ‘different’ and he had many problems at school. Prone to repetitive behaviour, he found it hard to mix and communicate with others. Partly as a result of this he was excluded from his secondary school at the age of 14 and spent the next 18 months at home, whilst his parents fought with their local authority over a suitable school placement for him. 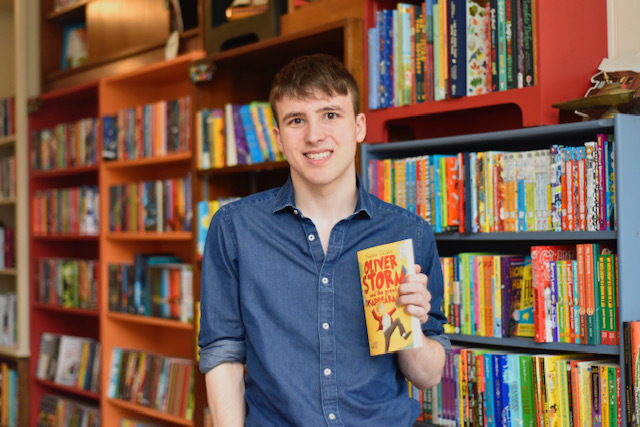 Whilst at home Freddie started writing various fantasy stories and at the age of 16 Freddie has just clocked up the significant achievement of having a book published – Oliver Storm and The Great Disappearance – published by St James’s House. The book follows a group of kids led by Oliver and his sister who try to reverse a scientific experiment that made all the adults disappear. Freddie’s favourite authors mix the sci-fi and the magical. They include J.K. Rowling, Douglas Adams and H.G. Wells. According to his family, Freddie followed the example of Rowling, taking his notebooks and heading off to the local Costa Coffee shop in Temple Fortune. Freddie is not the first person on the spectrum to achieve something literary, with the most influential author on the spectrum being Temple Grandin, professor of Animal Science at Colorado State University. As a child, Grandin was teased and bullied in high school. She could only make friends where there was a shared interest such as horses, electronics, or model rockets. She did, however, have strong empathy with animals and now half the cattle in the United States are handled in facilities Grandin has designed for them. The BBC has even made a programme about her – “The Woman Who Thinks Like a Cow”. For someone on the spectrum to succeed they have be very determined. Freddie knew that he had problems and was often, as many on the autistic spectrum are, very frustrated. He was aware of being different and wanted to be the same as everyone else, he just didn’t know how to do it. “I worked super hard on the book — the most I have ever worked,” Freddie says. “It makes me feel great.” Not surprisingly his parents are very proud of his great achievement. Britain’s school system often fails children with special needs where a lack of funding and all too often a lack of understanding are major issues. In her books Grandin herself makes the point that those with special needs often do not have those needs met. Freddie and his parents are relieved that his new school in Seaford, Sussex is working well for him and Freddie is even working on a new book. We look forward to it.